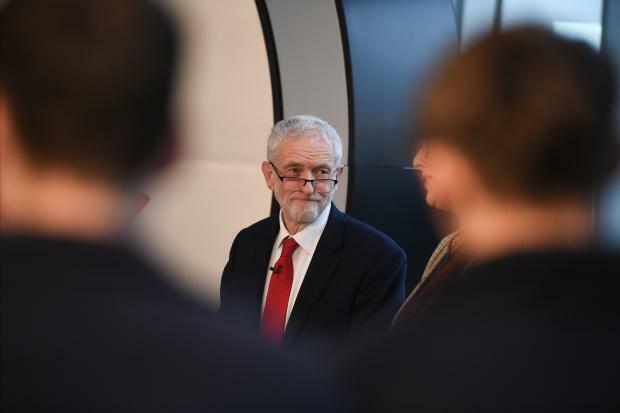 Britain's main opposition leader Jeremy Corbyn on Thursday called for a general election to resolve the current deadlock in parliament over Brexit, arguing that he would renegotiate the agreement with Brussels if he came to power. "If the government cannot pass its most important legislation, then there must be a general election at the earliest opportunity," he said, speaking at an electronic components factory in Wakefield in northern England. "To break the deadlock, an election is not only the most practical option, it is also the most democratic option. "It would give the winning party a renewed mandate to negotiate a better deal for Britain and secure support for it in parliament and across the country," he said. The European Union has ruled out any renegotiation of the deal. The Labour leader has said he will seek a vote of no confidence in the government if parliament, as expected, next week votes against the Brexit deal that Prime Minister Theresa May has negotiated with EU leaders. If the government lose a no confidence motion, there will be a period of 14 days in which parties can seek to find an alternative working majority in parliament and a general election would be called if they fail to do so. "We'll keep all options on the table, including the option of campaigning for a public vote," Corbyn said. In his speech, Corbyn said that Labour would seek to heal Brexit divisions if it came to power, arguing that the core problem was a "failed system rigged against the many to protect the interests of the few". "The real solution is to transform Britain to work in the interests of the vast majority, by challenging the entrenched power of a privileged elite. That is how we can help to heal the referendum's deep divisions," he said.